Jamaica is the heart of the Caribbean. The birthplace of reggae music and all-inclusive resorts. 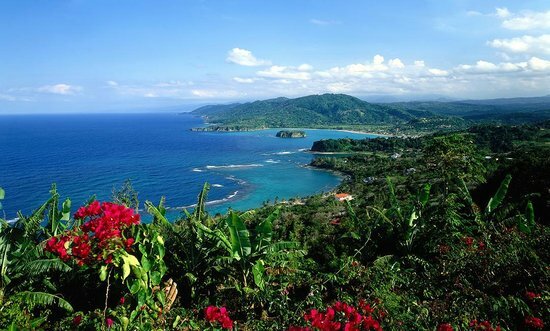 Visit the land of sugar cane, coffee and limestone, and enjoy Jamaica. Here you will find cream-colored beaches, bordered by rugged Blue Mountains, and foamy waterfalls. Most who travel here don’t leave the comforts of their all-inclusive resort; those who do typically don’t venture too far outside their immediate area. As the third-largest island of the Caribbean, Jamaica is hard to cover in one trip. Rather, it’s best to choose your activities and vacation priorities, then make your hotel plans accordingly. 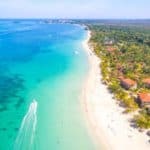 There are three main tourist locations on the island, Negril, which is popular for its beaches and upscale accommodations; Montego Bay which is well-liked by golfers; and Ocho Rios which appeals most to adventurous types. 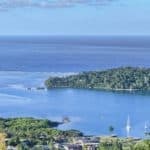 Some (but not many) visitors choose the eastern area of Port Antonio to try the top-notch surfing at Boston Bay Beach, the hiking along the Blue Mountains and the river rafting along the Rio Grande. While Jamaica’s beaches are certainly alluring, this is a country to dive into, literally and figuratively. Beneath the waves there’s great scuba diving and snorkeling, and you can float on the water too with lazy bamboo-raft trips (let someone else pole). The adventurous can go caving, or get their hiking boots on to explore the remote crags and forests of this crumpled landscape. 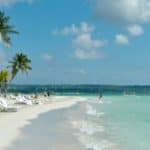 Our Jamaica Travel Guide provides everything you need to plan your next beach vacation to Jamaica! For more information on Jamaica’s beautiful beaches, visit our Greater Antilles Travel page. July is the hottest month in Jamaica with an average temperature of 83°F and the coldest is January at 76°F with the most daily sunshine hours at 11 in July. The wettest month is October with an average of 130 mm of rain. The best month to swim in the sea is in July when the average sea temperature is 84°F. The best time to visit Jamaica is November to mid-December. 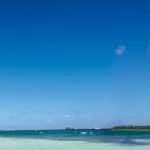 That’s when the island’s already beautiful weather (ranging from mid-70s to the high 80s all year-round) is the most pleasant and the hotel and flight deals are the easiest to find. Rates are also cheap during the summer, but you’ll risk the wrath of hurricane season. January to March is the peak travel season to the island — room rates can spike to more than $700 per night at some hotels. Mountain bikes and ‘beach cruisers’ (bikes with fat tires, suitable for riding on sand) can be rented at most major resorts ($10 to $30 per day). Road conditions can be poor when off the main highways, and Jamaican drivers are not considerate of cyclists. There are also dozens of companies hire motorcycles and scooters; they’re available at any resort town. These companies are far more lax than the car-rental companies; you may not even have to show your driver’s license. If you are not an experienced motorcycle driver, it might be better to rent a scooter, which is far easier to handle. Scooters cost about $35 to $50 per day and motorcycles about $45 to $60 per day. Most major international car-rental companies operate in Jamaica, including Avis and Hertz. Local rental companies can be a lot cheaper. Two recommended companies are Beaumont Car Rentals and Island Car Rentals. To drive in Jamaica, you must have a valid International Driver’s License (IDL) or a current license for your home country or state, valid for at least six months, and be at least 21 years of age. Kingston’s municipal bus system operates a fleet of large yellow buses. Buses stop only at official stops. Fares are J$100, but students, children, disabled passengers and pensioners pay half fare. You can also hire licensed taxis – called ‘contract carriages’ – which have red PPV license plates (those without such plates are unlicensed). They’re expensive, but affordable if you share the cost with other passengers. The Transport Authority has established fixed rates according to distance (different rates apply for locals than for tourists, who pay more). Licensed cabs should have these posted inside. Taxis are also supposed to have meters, but many don’t use them. 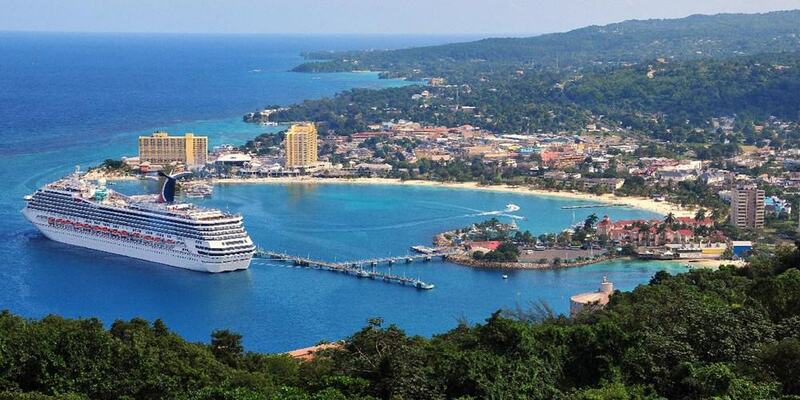 Ocho Rios is a former fishing village on a wide bay that was developed for tourism in the mid-1980s. 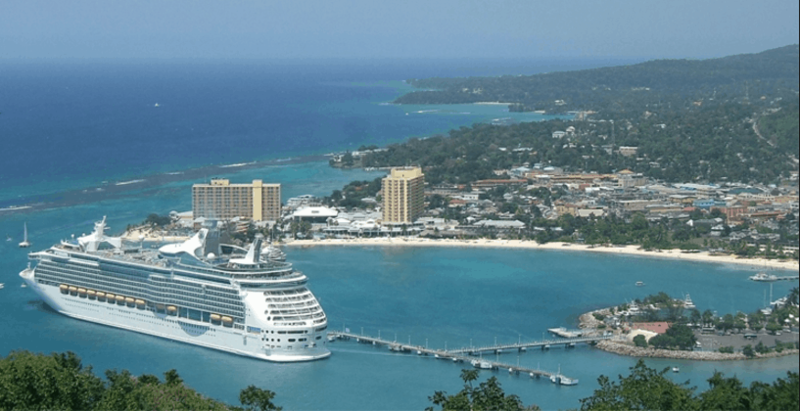 The frequent docking of cruise ships (sometimes three in a day) at the central pier that commands the town’s focus gives Ocho Rios a slightly ‘packaged’ feel. The town has a relaxed vibe when there’s no ship in dock. Tourism has endowed the town with a great eating scene, lively nightlife, and a plethora of guiding companies offering everything from scuba diving to zip-line tours. Throw in some of Jamaica’s best waterfalls on its doorstep, and Ocho Rios makes an excellent base for exploring the north coast. Planning a vacation to Ocho Rios? 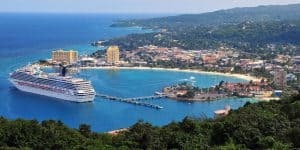 Visit our Ocho Rios Vacations guide for everything you need. 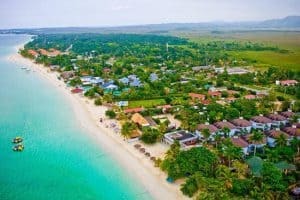 Stuck out on the island’s western tip and graced with its finest and longest natural beach, Negril was first colonized by hippies in the early 1970s. Negril is renowned for its hustlers, but it’s not all hassle. 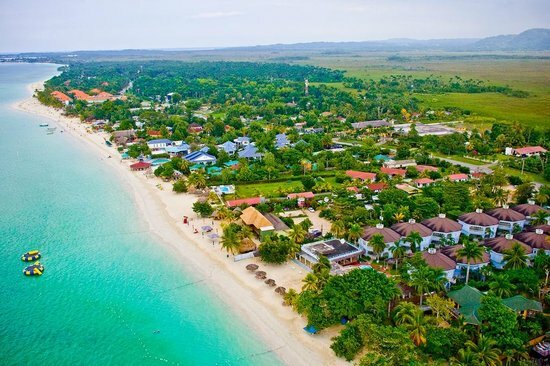 A strong local business community, fueled by a desire to safeguard Negril’s precious ecology, has kept the area from becoming a full-on circus. Consequently Negril remains a laid-back place of impromptu reggae concerts and psychedelic sunsets. In both geography and character, Negril can be split neatly in two. To the north is Seven Mile Beach (which is really a little more than 4 miles long). Further south, the West End is the original Negril of hippy-era legend. Here you’ll find cliffs, up to 50ft high in places, plunged into the azure ocean. Negril ‘town’ is sandwiched between the two, on the edge of the West End. Planning a vacation to Negril? Visit our Negril Jamaica Vacations guide for everything you need. Squeezed between the Blue Mountains and the world’s seventh-largest natural harbor, Kingston is beautiful, but can overwhelm some with its noise and hustle. This is the island’s cultural and economic heart. Like a plate of spicy jerk washed down with a cold Red Stripe beer, a visit to Kingston is essential to taste the rich excitement of modern Jamaica. Kingston is a city of two halves. Downtown is home to historic buildings, the courts, banks, street markets and one of the Caribbean’s greatest art museums. By contrast, Uptown holds the city’s best hotels and restaurants, largely confined to New Kingston, with its cluster of tall buildings around Emancipation Park. Visit our Kingston Jamaica Vacation Guide to start planning your Kingston vacation. 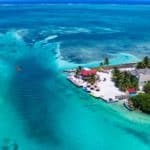 Montego Bay has two distinct sides: there’s the smooth tourist side, the one you see in a thousand glossy Caribbean brochures; and there’s MoBay proper, a pretty gritty city, second only to Kingston in terms of status and chaos. Most of the big all-inclusive resorts are located well outside the urban core in the fancy suburb of Ironshore. 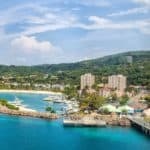 Stay in the city, however, and you’re faced with an entirely different feel – a riot of car horns blaring and bustling people that offers a slice of Jamaican life. The Hip Strip (aka Gloucester Ave), with its mid range hotels and souvenir shops flogging Bob Marley T-shirts, acts as a kind of buffer between MoBay’s two halves. Planning a vacation to Montego Bay? Visit our Montego Bay Vacations guide for everything you need. Port Antonio is a city on Jamaica’s northeast coast and the capital of Portland Parish. It’s known as a gateway to nearby tropical jungles, mountains and waterfalls. In the John Crow Mountains, Reach Falls flows into a river pool. Near Hope Bay, Somerset Falls flows on the grounds of a former plantation. 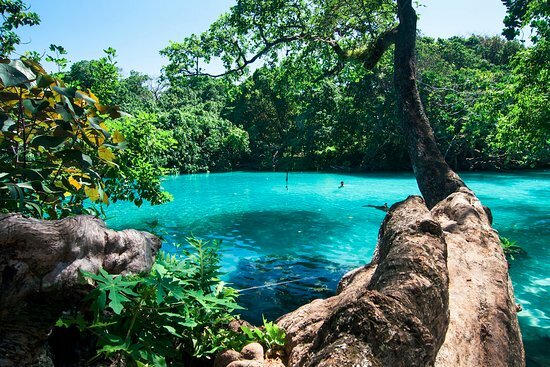 In the east, the Blue Lagoon is known for its blue waters, fed by the Caribbean Sea and underground springs. 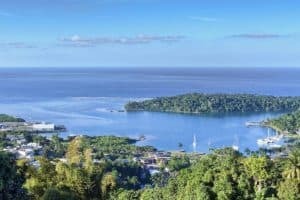 Planning a vacation to Port Antonio? 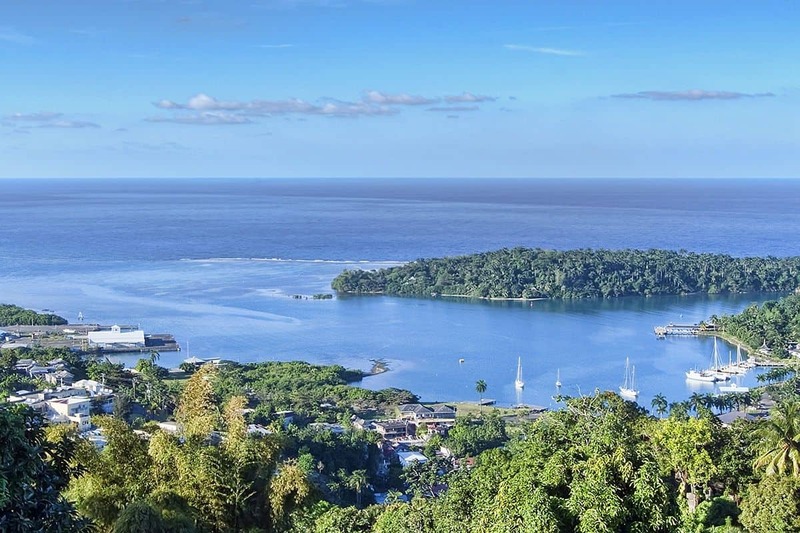 Visit our Port Antonio Travel Guide for everything you need. Haggle the price as bargaining for a better price is expected and encouraged in many souvenir shops. When visiting the craft vendors or taking a cab ride, don’t accept the first amount quoted to you. Also pay for it all up front. Jamaica is the nerve center of the all-inclusive. Many of the resorts include more than just food and drinks in their packages. Also, it’s best to skip spring break. Throughout March and early April, prices skyrocket at resorts because of the huge influx of spring breakers. Jamaica is known for unique cuisine that fuses flavors and ingredients from different cultures. Seafood is a staple, and no Jamaican vacation is complete without sampling some of the island’s fresh produce or main courses enhanced with some zesty jerk seasoning. Where to dine largely depends on where you’re staying, but many area restaurants serve traditional dishes like ackee and saltfish, callaloo (a stew-like soup commonly made with okra and spinach) or fried plantains. To try some spicy jerk seasoning, look for the nearest roadside stand and order a jerk chicken skewer or jerk pork with rice and peas. Visit our top places in Jamaica for the best restaurants. Keep in mind that some parts of Jamaica are safer than others. Exercise caution when moving around at night, avoid traveling in buses and stay in groups when at all possible. Petty theft has been reported in the past, so make sure to keep your valuables near you at all times. According to the U.S. State Department, violent crime can occur too, even at all-inclusive resorts. Areas of Kingston, Montego Bay and Spanish Town are particularly prone to violence. Visit the state department’s website for more details. The first thing that strikes you about the Seven Mile Beach is the panoramic ocean view and the bright blue, normally cloudless sky. The serene blue waters and silky white sand then combine with the warm sunshine to make your visit an unforgettable one. 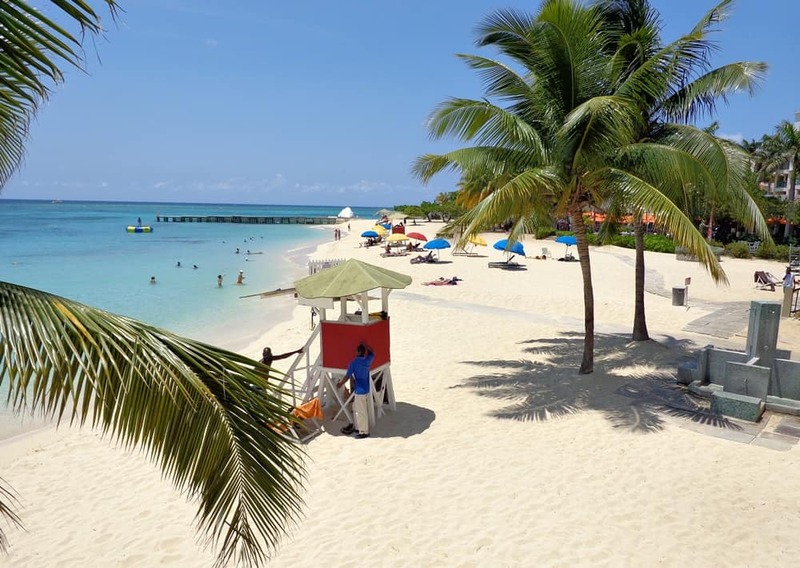 Whether you are seeking to jet ski, kayak, snorkel, scuba dive, go on a catamaran cruise, banana boat or glass-bottom boat ride, Seven Miles Beach has it all. You can even travel along the beach on horseback if you like.The major advantage of this beach is that the huge variety of options leads to less traffic at each individual attraction or activity. 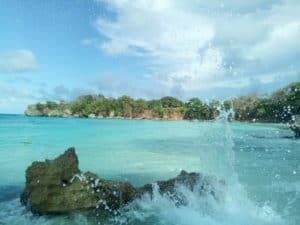 Sitting less than 10 miles east of Port Antonio’s town center, Boston Beach is known for its clear waters’ surfer-friendly waves and the shore’s soft, powder-white sands. But even more prominently, Boston Beach is renowned for its delicious, authentically Jamaican eats. This beach claims to be the birthplace of jerk seasoning, so come hungry and ready to taste-test at the nearby Boston Jerk Center, which features jerk foods. You might even enjoy some live music while sampling the flavors. The water here can get a bit rough, which is why it’s a favored spot among surfers. But for that reason, it’s not the best beach for young children. The Blue Lagoon is a vibrant cobalt color that’s worth snapping a few pictures and swimming a few laps around. The water is cool, very deep (approximately 200 feet, according to some reports) and a mix of saltwater and freshwater fed by a nearby mineral spring. Throughout the day as the angle of the sun changes, the water appears to be different shades of blue. You’ll find the lagoon about 6 miles east of Port Antonio. The best way to experience the Blue Lagoon is on a boat or rafting tour, according to recent visitors. If you’re not part of an organized tour, it’s wise to visit the lagoon with a group; because of the lagoon’s depth and seclusion, it can quickly become dangerous if you happen to get into trouble swimming. Doctor’s Cave is one of the most visited beaches in Montego Bay. But it does charge an entry fee, which can serve as a deterrent for some. Many, however, are willing to fork over the dollars to enter Doctor’s Cave, play in the quiet waves, enjoy the safety of lifeguards and have ready access to the available water sports, changing rooms and beach bars. 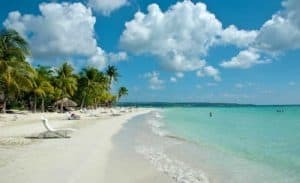 The beach’s popularity means that you’re likely to encounter crowds (especially on days when cruise ships are in Montego Bay’s port) and high food prices. You can also rent equipment for snorkeling, kayaking, riding water scooters and other aquatic activities. Umbrellas, towels and beach chairs are also available for rent. Jimmy Buffet’s empire extends to Jamaica and with Margaritaville Sports Bar & Grill which epitomizes beach nightlife. With live music, bikini contests, a 110-foot waterslide, and frosty tropical drinks, these is a tourist trap in its own right, but a fun one! Sports fans flock here to watch big games on the bar’s 15 televisions, and margarita lovers won’t have to search far to get to one of four open-air bars. At night, Club Ville comes alive as perhaps the hottest nightclub in Western Jamaica and swings to the sounds of its in-house deejays. Theme nights include glow, “bare as you Dare,” and ladies’ night. For more information call 876-952-4777, or visit them on the web At Jimmy Buffett’s Margaritaville. With six flat panel screen televisions and one giant screen showing major sporting events. Runaway Bay is one of the best places in Jamaica to watch the game. The bar also offers two pool tables, nightly entertainment, darts, casino-style game boxes and even a swimming pool! The full restaurant serves local and international dishes on the third floor rooftop featuring sweeping views. The menu includes Asian and Jamaica fusion dishes, jerk and curried chicken, and fresh seafood as well as classic appetizers like chicken wings, shrimp dip, and onion rings. The lower level is the Runaway Suites hotel with affordable rates, making it easy to stumble back and forth. For more information call 876-408-2101, or visit them on the web at Runaway Sports Bar & Grill. Getting to this rickety shack is half the fun, and even though it attracts the tourist crowd, it is a novelty that shouldn’t be missed! The bar is built into the sea and only accessible by boat, and once you get there stay for a while and forget about life. Although this falls in the “nightlife” category, most people visit during the day, and you can even snorkel around a bit in the shallow waters. The driftwood bar also offers fresh fish dishes and other menu items if you stay long enough to work up an appetite. Bring cards or dominoes and let the day pass away with a cold Red Stripe or two. For more information call 876-354-4218, or visit them on TripAdvisor at Floyd’s Pelican Bar. Collette, the owner, is sweet as pie and makes her guests feel at home. She is the heart and soul of the place and her energy keeps people returning again and again. The drinks she serves are cheap, cold, and strong and there always seems to be a crowd of happy people laughing and carrying on in the bar. Reggae music is always playing and there are plenty of locals lingering around chatting with the tourists. The vibes here demonstrate the “one love” Jamaican lifestyle and no one is treated like a stranger. The positivism found here will stay with you long after your vacation is over. For more information call 876-429-3636, or visit them on the web at Collette’s Bar. Rick’s Cafe was the first public bar and restaurant of its type on the West End Cliffs, offering an alternative to Negril’s majestic seven-mile beach. From the beginning, Rick’s Cafe boasted an unrivaled view of the sunset from its naturally formed cliffs. Over the years, visitors and locals alike have designated Rick’s Cafe as Negril’s premier gathering spot and our sunsets have become a Jamaican tradition. Rick’s Cafe’s world-famous sunsets and breathtaking views have made it an international must-see since 1974. Join them daily for lunch, dinner, happy hour, cliff diving and life-long memories. Their menu features Caribbean and international cuisine are served from the best vantage point on the island to watch the sunset. For more information call 876-957-0380, or visit them on the web at Rick’s Cafe. Pier 1 hosts the most happening party in Montego Bay on Friday night. Patrons await the horde of locals who come ready to dance the night away, when the club gets cranked up around 10 pm. A club DJ goes wild and turns the seafood restaurant with stunning sunset views into a thumping dance hall. Tropical drinks are the bar’s specialty, and several musical events that take place here draw more than 1,000 people. With an affinity for accomplished musicians and an admirable view of the bay, Pier 1 tops the list for exuberant nightlife. Special events include fashion shows, Appleton-sponsored parties, and open-mic night. For more information call 876-952-2452, or visit them on the web at Pier 1. Featuring free WiFi, a spa centre and an outdoor pool, The Cliff Hotel offers accommodation in Negril. The hotel has a year-round outdoor pool and sun terrace, and guests can enjoy a meal at the restaurant. Free private parking is available on site. All Suites have pristine views of the Caribbean Sea and have private balconies with hammocks. Guests can enjoy a variety of dishes at Zest restaurant and enjoy relaxing treatments at KiYara Spa. This hotel has water sports facilities and car hire is available. You can play billiards and darts at the hotel. The nearest airport is Montego Bay Airport, 53.4 miles from The Cliff Hotel. For more information, pricing, or to reserve your room, visit The Cliff Hotel. This property is a 12-minute walk from the beach. Featuring spa treatments, a terrace with swimming pool and massage service, The SPA Retreat Boutique Hotel is 2 miles from Coral Beach and 2.5 miles from the Negril Lighthouse. The on-site restaurant Blue Mahoe serves Jamaican cuisine and international food. The property has daily yoga lessons and meeting facilities as well. For more information, pricing, or to reserve your room, visit The Spa Retreat Boutique Hotel. Offering an outdoor pool and 8 restaurants, Hyatt Ziva Rose Hall – All Inclusive is located in Montego Bay. Free WiFi access is available in this resort. Guests will enjoy international buffet, Italian cuisine, Asian fusion, seafood grill, Brazilian and a variety of sandwiches and ice cream at the 8 restaurants on site. There are also 4 bars including piano bar, swim-up bar, sports bar and a roof-top bar. At Hyatt Ziva Rose Hall – All Inclusive you will find a tennis court and a fitness center. Other facilities offered at the property include water sports facilities. The property offers free parking and daily activities for children and teens from 3 to 16 years old include eco-adventures, pool and beach activities. Hyatt Ziva Rose Hall features meeting space and Wedding facilities. For more information, pricing, or to reserve your room, visit Hyatt Ziza Rose Hall – All Inclusive. Showcasing a year-round outdoor pool and water sports facilities, Sandals Royal Caribbean All Inclusive Resort & Private Island – Couples Only is located in Montego Bay. The resort has a sun terrace and spa center, and guests can enjoy a meal at the restaurant or a drink at the bar. You can play tennis and ping-pong at the resort. Alma is 24 miles from Sandals Royal Caribbean, and Rose Hall is 8 miles away. Sangster Airport is 0.6 miles from the property. For more information, pricing, or to reserve your room, visit Sandals Royal Caribbean All Inclusive Resort & Private Island. Featuring a golden sand beach and a beautiful pool overlooking Montego Bay, this resort is less than 20 minutes from Sangster International Airport. Free Wi-Fi and a choice of dining options are available. Guests of Round Hill can enjoy traditional Caribbean meals made with on-site ingredients. The Seaside Terrace, The Grill at Round Hill and pool and beach bars are open daily. Afternoon tea is also served. For more information, pricing, or to reserve your room, visit Round Hill Hotel & Villas. This was quite a tantalizing article to read. From start to finish, you made me want to venture there. One Christmas, I traveled with my Dad to St. Thomas in the Eastern Caribbean, so I know how relaxing the islands can be there. I do have a question though. When I travel, I always try to maximize my safety. Are there any special precautions I should take to protect myself from robbery along with areas to avoid? I look forward to reading your answer. I do have to tell you that recently Jamaica has had it’s share of crime. Most crimes target visitors in tourist areas like Montego Bay, Negril, and Ocho Rios; pickpocketing and petty theft. Armed robberies do occasionally involve tourists, and can turn violent if victims resist. Special tourist police have been employed in these areas in an attempt to control crime and you can spot them by their uniform of white hats, white shirts, and black pants. Tourists in Jamaica have been robbed as they slept in their hotel rooms, so be sure to lock all doors and windows at night and keep valuables in a safe and secure location, such as the in-room safe. If you are staying at an all-inclusive, you are a lot safer at the current time. Thanks for reading and for your concerns. Jamaica looks like a wonderful place to go to! I think I would love to go in January because I love 70s weather! Anything hotter is not my cup of tea. I few of my friends are from Jamaica and they love it there. I have been looking into making it there, and found this information very helpful for planning. It is a wonderful place to go! I love hot weather, which kind of opens it up for me as to when I can visit 🙂 Anything under 60 is pretty cold for me….guess I am a Floridian at heart. I am glad my Jamaica Travel Guide was helpful so that you can start your planning. Please let me know if you have any questions. Thank you for the great information about Jamaica. I don’t have to worry about travel using cruise or land to reach the place because I can get such great information from your sites. 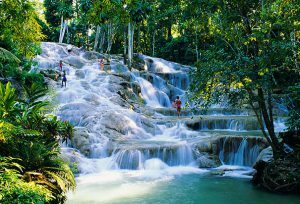 Thanks for your travel guide, I would like to travel to Jamaica with my family and friends with guide you provide. The introduction of yours makes me want to visit Jamaica right away. Hahaha~! I know the feeling….. I always want to be traveling to these beautiful destinations after constantly writing about them! Glad the information will come in good use for you. Thank you so much for visiting my Jamaica Travel Guide. Unfortunately, my only experience in Jamaica is when I was on a cruise. I completely understand that a cruise day trip is a bad way to experience an island. I do remember poking around downtown Ocho Rios while most everyone else went to the Falls. I’m going to go back someday and give it a fair shot. It looks like it has a wide variety of things to do. Thanks again for your thorough and useful reviews. You are very welcome and thank you for reading my Jamaica Travel guide! It is so funny that I came across your blog. I am coming up on my 2 year wedding anniversary since we got married in Montego Bay. I absolutely loved our time there, and I can’t wait to go back! I definitely want to venture out to either Negril or Ocho Rios next time we go. We pretty much stayed in Montego Bay the whole time we were there for our wedding, and we didn’t have the finances or time to have a honeymoon at that time. It is true that you say to pick a few places, even though the island seems small, there is so much to see! And traveling from one city to the other is not a short drive either! Wow, how nice to get married in Montego Bay! Thats like a wedding and a honeymoon all in one! Heck I got married by the river in my backyard, which at the time seemed romantic….NOT. LOL Anyway, I am glad you enjoyed reading and can find the information useful for your next trip to Jamaica. Thanks for visiting my Jamaica Travel Guide! Just yesterday, I was talking about a cruise I had taken with friends, several years ago, and I said that I wanted to take another cruise soon. Now I’m reading this today…perhaps the Universe is sending me a message! 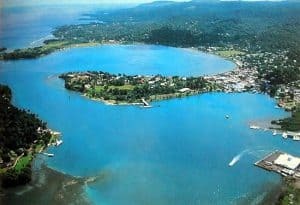 Interestingly enough, the cruise I went on was supposed to stop at Jamaica, but it was re-routed due to a major storm, so I have yet to visit this beautiful island. You made a great point: although the tours the cruise ships offer are wonderful, you’re more likely to have a more “flavorful” experience mixing in with the natives. And what you said about being able to give back directly to the country’s economy is one that I overlooked and will definitely keep in mind when I visit Jamaica. Dunn’s River Falls here I come! I am so glad you enjoyed reading and will make Jamaica a stop on an upcoming vacation. You will love it for sure. Thank you so much for visiting my Jamaica Travel Guide! This post is SO helpful! Thank you! Going to Jamaica has been my dream but I have only recently started to research it in order to book a trip. I had no idea about when the best season(s) to go was/is. I also had no idea about the best places to go. You have given me lots of things to think about as I prepare. Thanks again! I’m sure it’s not just helpful to me!! I am glad it is helpful. If you have any other questions or need any help with your planning, please don’t hesitate to ask! 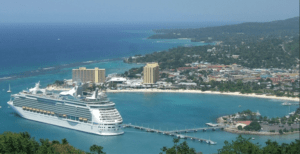 I’ve been to Jamaica as part of cruise ship excursions several times. Admittedly, the time in port is very brief which limits how far we can go and what we can see. Jamaica has beautiful beaches for sure. For us, we’ve always felt more comfortable in Jamaica sticking to very populated streets with plenty of tourists. Twice we’ve hired local taxis to take us to beaches. One experience was good, the other I wouldn’t repeat. The next time we go to Jamaica, I want to go to an all-inclusive resort, out of hurricane season and not during the rainy months. Compared to south east coast living, even summer months when the average high temp in Jamaica is 83 it sounds like heaven! Have you been to Jamaica? Looking at those images I am itching to go to Jamaica! I would love to see more of the country than just the tourist hubs and maybe hire a car and travel on my own. However I have heard many times that it’s not safe to do this in Jamaica. Do you know anything about that? 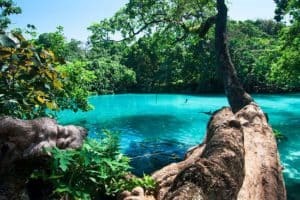 This is an excellent post on Jamaica! I have yet to read better or more detailed information on this wonderful travel destination. you have really given an enormous amount of information and I will have to read it a few more times to absorb all the good stuff you have included! I have been to Jamaica by cruise ship, but plan to go again when we have more time to explore. Thanks for all the great insight! You are very welcome Dave and I am glad you enjoyed reading! If you have any questions or need help with planning your trip to Jamaica, please don’t hesitate to contact me. I would be more than happy to help any way I can. Thanks for reading! WOW! It’s sooo beautiful! I had no idea there was so much to do there as well! It looks like so much fun. It looks like paradise. I hope I get to travel there some day! Yes, I have to agree that Jamaica is paradise and the list of things to do goes on and on for sure. So many wonderful beaches, such great food and so many things to see and do. Thanks for reading! This is on my dream places to go. Doctors cave beach looks amazing. You are welcome, and yes Doctor’s Cave Beach is probably one of the most popular places to visit while in Jamaica. Then, everything here is amazing for sure. Thanks for visiting the Jamaica Travel Guide! Hi Mattysmom. Excellent portrayal of Jamaica. You are correct in that it is the heart of the caribbean. I have visited Ochos Rios, Negril, Montego Bay, and Kingston. The food is awesome and the people are great. Really enjoyed the nightlife and joining the natives in “Fish Fries”. I plan to revisit this beautiful island where the sea is absolutely breathtaking! Thank you Phildora, wow you are lucky to have visited all these wonderful places in Jamaica 🙂 I don’t think people realize just how beautiful it is here, and so many amazing places to see. I had to really narrow down my list to keep it semi short. I could have went on for a lot longer. Yes, I agree amazing food, people, and nightlife. Great beach destination for sure. Thanks for reading!